Like it or lump it, April Fool’s Day is an annual celebration of funny pranks, online hoaxes and good old-fashioned malarkey. It’s also become something of a minefield in the current digital era. For 24 hours, every online story is called into question – even more so than usual – but there is one person thing who isn’t fooling around: Chucky. 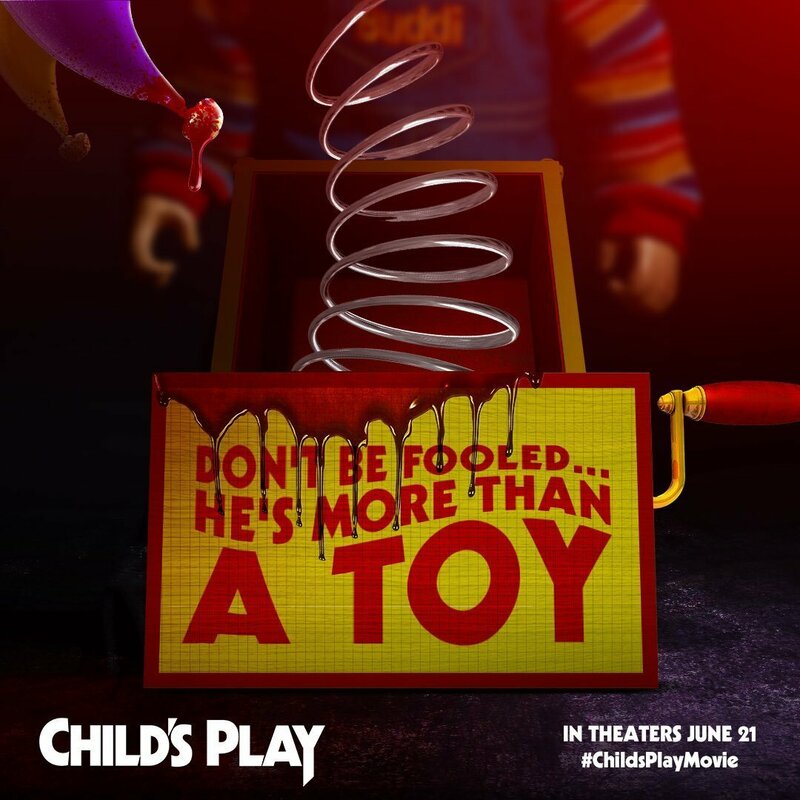 Yes, the latest poster for Child’s Play has arrived by way of Bloody Disgusting, and it comes with a warning: “Don’t be fooled, he’s more than a toy.” He being Chucky, the pint-sized Devil Doll who will be voiced by none other than Mark Hamill of Star Wars fame. The industry legend announced his involvement in Child’s Play this past weekend, and even offered fans a sneak peek of the demonic voice he’ll be supplying come June. What’s all the more exciting about Hamill’s addition is the fact that the Luke Skywalker actor has amassed years of experience in the voice booth, given he portrayed Joker in Batman: The Animated Series. And didn’t he do so brilliantly? The voice, the deranged cackle – everything was pitch-perfect, and we’re quietly confident that Mark Hamill will be able to bring the same level of villainy to Child’s Play this summer. Also on the casting docket for this one are Aubrey Plaza and Gabriel Bateman, who fall prey to the Buddi doll, blissfully unaware of its more sinister nature. They’ll be joined by Beatrice Kitsos of The Exorcist, Ty Consiglio, and Brian Tyree Henry.